Indian mangoes will be imported to Australia for the first time after protocols were revised to allow the Asian-grown fruit into the local economy, a media report said. The fruit would be allowed into Australia as long as they were treated with irradiation before leaving India, Xinhua news agency reported. This meant that Australians would be able to enjoy the fruit long after the local season ended. 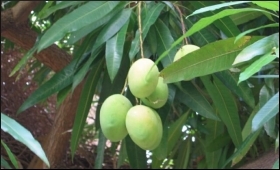 The Australian Mango Industry Association's Robert Gray said Indian mangoes would be imported when the native season was over, ensuring a constant supply for those who enjoy the golden fruit. Kay Bee Exports Chief Executive Kaushal Khakhar - who will be sending his mangoes to Australia - said shipments would be made up of two varieties - Alphonso and Kesar. "Alphonso is slightly tricky but handled well, it is one of the best varieties in India," he told Fresh Fruit Portal. He added that if the Indian-sourced fruit passed all standard testings, the deal would be beneficial for the Australians. The global trade was welcome provided the protocol was safe and did not bring in any pests or diseases into the country, Gray told the Australian Broadcasting Corporation (ABC) on Monday. Gray also said on those lines "we're supportive of other countries having access into our market". The US had previously imported Indian mangoes with no problems, Gray said, adding, however, he could not predict the kind of volume that Australia should expect from March until July - during the Indian mango season. "While India is a huge mango-growing country, their export business is a bit like ours," he said. "India is currently trying to ship 200 to 300 tonnes of mangoes to the US a year, and it would be those sorts of volumes I would expect (in Australia)," Gray added.